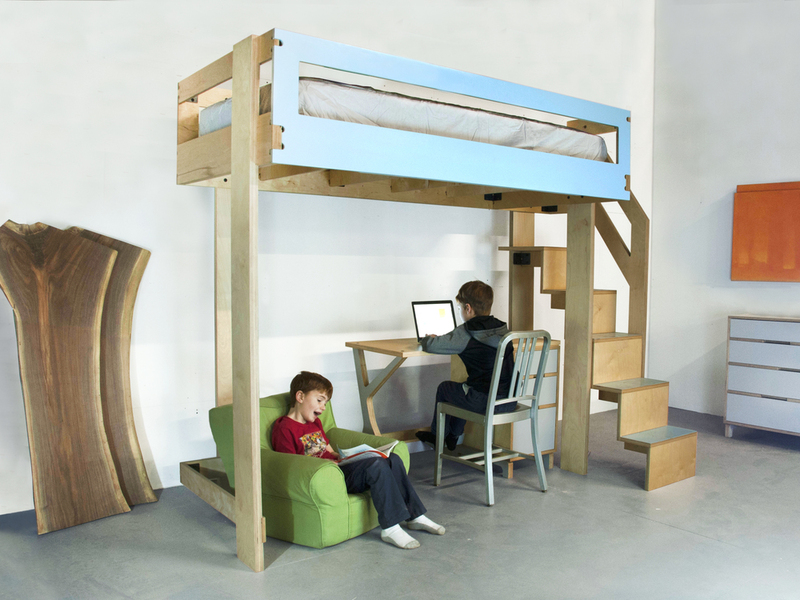 Available with dressers, desks, ladders or stairs, and in standard (70" and 80") and custom heights. Please contact us for further details or check back over the next few weeks for updated photos and pricing of new options. Also available as a bunk bed. Accompanying furniture available.